You've decided to live in Rancho Santa Fe, California? What a great choice! As you've been looking into it, you may have wondered what it's really like to live in this beautiful place. Well, you're in luck. We've created this guide to help you learn the ins and outs of the Rancho Santa Fe, CA lifestyle. Imagine the luxury of Beverly Hills, Bel-Air, and Malibu but with a rustic countryside charm. Rancho Santa Fe is a suburb of San Diego, located in San Diego's North County. It's a unique inland community that is mostly residential with around 5,000 residents currently. Upon first glance, Rancho Santa Fe may seem like any other ranch community, but that couldn't be farther from the truth. Yes, you'll see lots of perfectly manicured horses and stables. Trees and orchards are found throughout the area. But that's just the beginning. 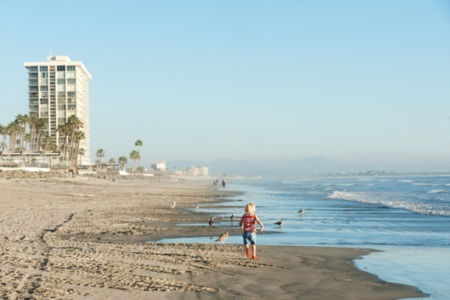 At just seven miles from the Pacific Ocean, Rancho Santa Fe is a quaint village close to the water but still tucked away. And it's a perfect place to live the lifestyle of the rich and famous. The founder of The Ranch area was Don Juan Maria Osuna who as a judge and soldier in California. He was the first mayor of the area and was given several acres of land from the Mexican government. He picked The Ranch because of it was fertile and settled right between the ocean and the mountains. Rancho Santa Fe is also known for its eucalyptus trees. In 1906, they were planted with the idea of using the wood for the railroad. However, the railroad company eventually discovered that the wood wouldn't work for the railroad ties. So what that means is that there are now more than 3 million eucalyptus trees throughout the area. There are also countless orchards, sprawling land, and many groves of citrus trees. 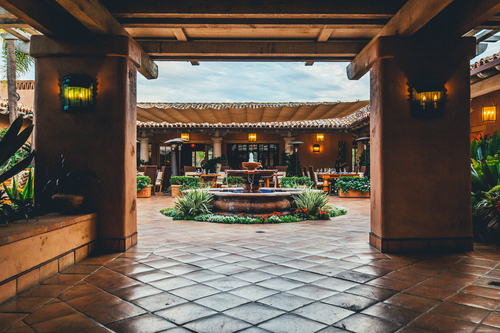 All of these things add together to create a beautiful, luxurious, and rustic place known as Rancho Santa Fe--or as the locals call it--The Ranch. Rancho Santa Fe is known for its luxury real estate and mansions. In fact, the city is listed as the 13th most expensive zip code in the entire country by Forbes. The majority of the homes here are in a Spanish-Mediterranean style. Most homes here are also large, usually more than 5,000 square feet. There are lots of private estates and gated communities and lots are typically measured in acres. As far as home prices, the least expensive homes are around $1.5 million. The median price is $1.75 million. There are some condos and townhomes available as well with a median price in the $700,000 range. 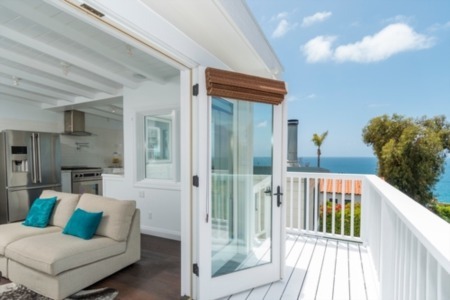 If you're planning on moving to The Ranch, be prepared to pay top dollar but you'll have perfect views of the beautiful countryside, and in some cases, even the ocean. Because Rancho Santa Fe is an unincorporated community in San Diego County, P.O . boxes are used instead of home mailboxes. And there are only sidewalks in the main downtown area. One other thing to note is that a large percentage of residents live here less than full-time. Often, this means they own other homes in other parts of the world and only live here part of the year. Like we said earlier, the majority of Rancho Santa Fe is a luxury area. However, there are a few areas with more of a commercial focus. When it comes to art galleries, you have to check out the Rancho Santa Fe Art Guild. If you're an art fan, you're also going to want to check out the annual Rancho Santa Fe Art Festival. When it comes to food, you've got a lot of upscale options. Check out Mille Fleurs right in the middle of the downtown area. Also visit the restaurant at The Inn at Rancho Santa Fe, where you can eat either inside or out. Looking for shopping? You'll find a lot of that too, including the latest fashion trends as well as unique boutiques. Another favorite activity in Rancho Santa Fe is golfing. If you're a golfer, you're in luck here. In fact, some of the most prestigious country clubs in the United States are found here. Be sure to check out one of the many private clubs, including The Bridges, The Crosby, The Fairmont Grand Del Mar, Fairbanks Ranch, The Farms, The Del Mar Country Club, and Morgan Run. Another cultural hub is the Del Mar Race Track. The main event is horse races, but you'll also find the annual San Diego County fair, concerts, and other trade shows. Both new and experienced equestrians will enjoy the more than 40 miles of trails throughout the city. Horse lovers will find multiple private facilities with space for horse riding as well. Over the years, The Ranch has been a favorite home for various celebrities. Bill Gates of Microsoft, music superstar Janet Jackson, and beloved singer Bing Crosby have all called The Ranch home. And these are just a few of the many notable people who have lived here. This is because of its secluded nature, which is a perfect place to be out of the limelight of Hollywood, but still nearby. When it comes to schooling in Rancho Santa Fe, there are plenty of great options. There are reputable elementary and public schools for students from kindergarten to 8th grade. Kids older than that attend the Encintas schools which are only a few miles distance. There are also multiple private schools like the Diegueno Country School and The Horizon School. No matter what, you can rest assured knowing your children will receive a top-notch education in Rancho Santa Fe. There you have it: a lifestyle guide all about Rancho Santa Fe, CA. If you have any further questions, check out our real estate blog to learn more!